Infinity Countdown #4 made it clear there are fractures within the Guardians of the Galaxy. In the issue, each member believed they knew best what to do with the Power Stone. That argument ended with Drax the Destroyer marching off with stone in-hand, daring anyone to try and take the item of unimaginable power from him. The teaser image implies that the Guardians will fracture even further and that a new team, the Asgardians of the Galaxy, will take their place. Who exactly will make up that team is anyone’s guess. Two decent assumptions would be the most notable Asgardian of them all, Thor, and Angela, an Asgardian and former member of the Guardians. Other than that, the teaser is understandably light on details. Marvel has been talking up how their Fresh Start initiative will shake things up, and a new team is a fast way to big change. It’s likely the coming months will reveal some big changes for the Guardians and introduce a new band of galactic protectors along the way. 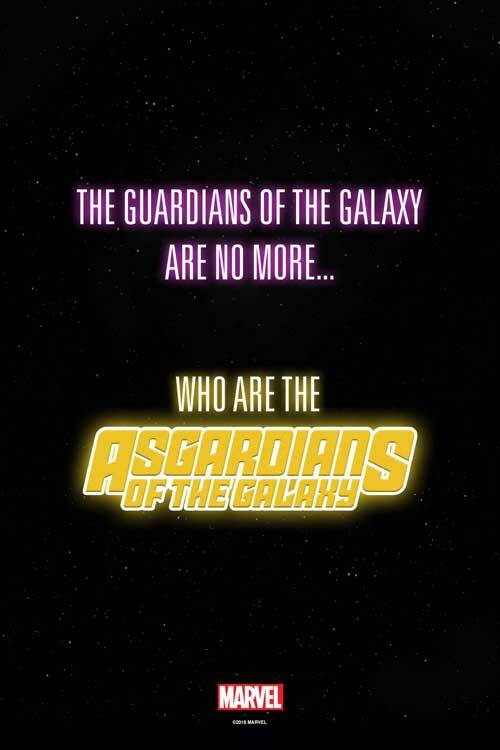 The post Marvel Comics Teases the ‘Asgardians of the Galaxy’ appeared first on CBR.